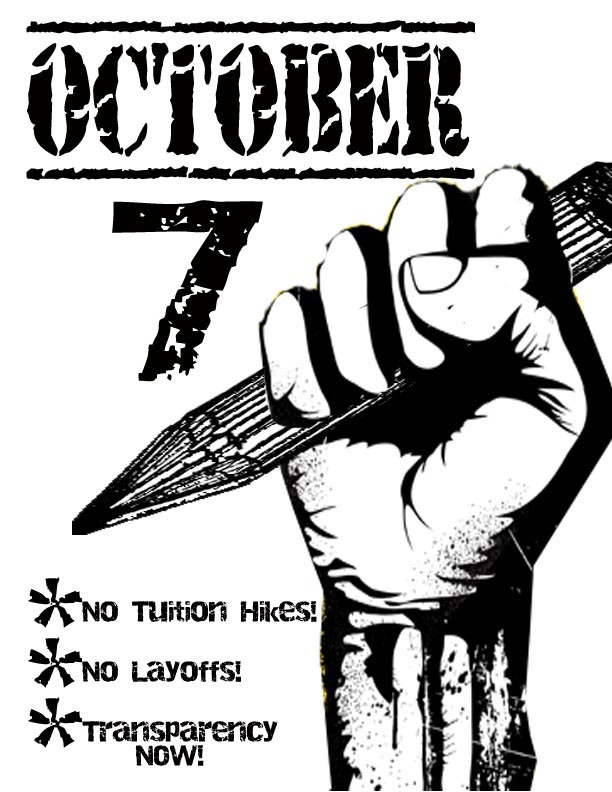 October 7, 2010 – All Out to Defend Education! On March 4th, campuses across the country erupted in protest as faculty, campus workers, and students joined together to say NO to the attacks on education. On that day, over twenty chapters of Students for a Democratic Society protested on their campuses. At the University of Wisconsin- Milwaukee, protesters were met with tear gas and police violence. 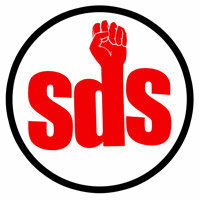 16 members of SDS were arrested, and are still fighting to get the charges dropped. At UCLA, SDS members took part in an occupation of the chancellor’s office. Likewise, at campuses such as Drexel, UI Chicago and Diablo Valley College SDSers participated in and led the fight against cutbacks and layoffs. Students for a Democratic Society has been fighting back against cuts to education for years, leading struggles on campuses across the country. We believe education is a right, not a privilege. We believe that students should not have to suffer fee and tuition hikes so that top administrators can maintain their six-figure salaries. We believe faculty and campus workers should not be subject to mandatory furloughs to maintain wasteful and unbalanced budgets. We believe that ethnic, women’s and LGBTQ programs are NOT expendable. We say, “chop from the top!”, that cuts should be made to top administrators with bloated salaries. We want student, worker, and faculty control over the university; the Board of Regents should not be in control of our futures and lives. We will not stand by and do nothing while the quality of and access to education is diminished, while our schools are privatized, and while K-12 public schools face similar attacks. out because of spiraling tuition costs they cannot afford. Money should go towards jobs, welfare and education, not wars, military aid and occupations. Finally, we see the actions that students are taking all over the world, such as the strike at the University of Puerto Rico that began April 21st, and that is still going strong despite repression from riot police. We are inspired by their courage and determination. September of 2009, inspiring people across the country and the world. On this day we will say no to the budget cuts that threaten our access and the quality of our education. Campuses will protest, march, rally, strike, walkout or petition to show their support for those across the country and the world fighting to defend education, to send a clear message to administrators, legislators and government that we will not remain silent while education is under attack. 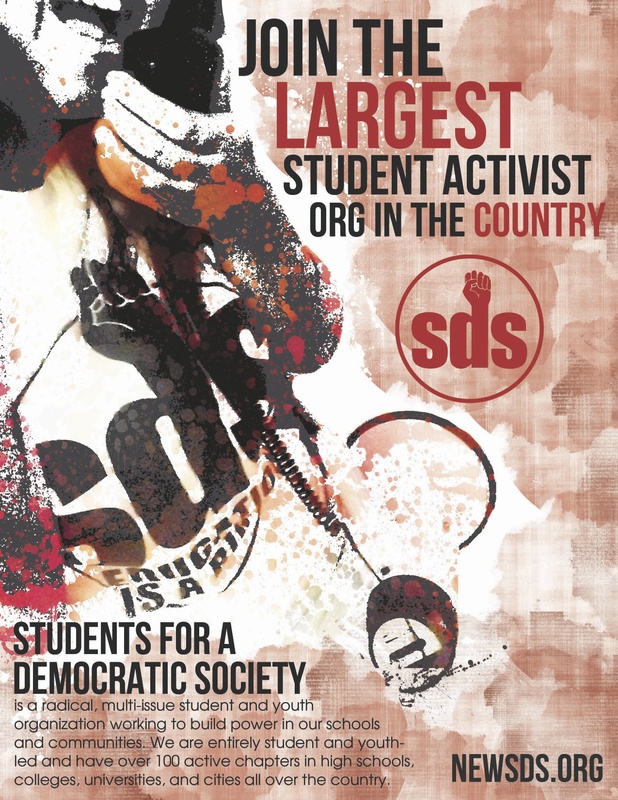 To add your chapter to the list, contact SDS at students4democraticsociety@gmail.com.